Low rumble through the walls... dark room... door closed... mixing, mixing, mixing. That pretty much describes this session. 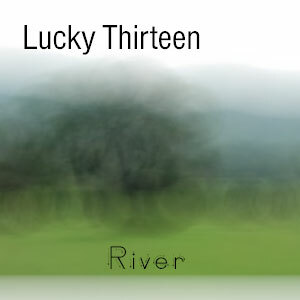 This is my favorite Lucky Thirteen recording. The band is on fire fusing elements of rock with McLaughlin-esqe riffs and adding a touch of blues, Brian and the gang were definitely hitting on all cylinders. Recorded live near the river in Webster, NC 19 April 1996 at 9pm.